Any idea why my Eclipse isn't starting? !ENTRY org.eclipse.core.resources 2 10035 2011-10-21 12:03:18.134 !MESSAGE The workspace exited with unsaved changes in the previous session; refreshing workspace to recover changes. It seems to fail when trying to restore the workspace. 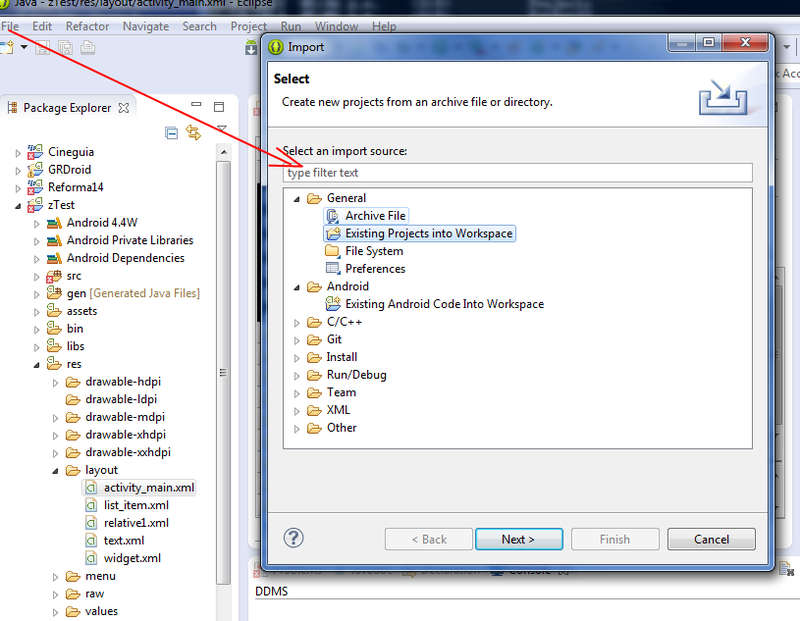 As suggested in a comment: If using Eclipse 4, you may have to delete the file .metadata/.plugins/org.eclipse.e4.workbench/workbench.xmi aswell. Then you will not have problems accessing to your Eclipse. There is a .metadata directory in your workspace. Within it, there is a file named .log - if the startup process does not fail very early, it should contain useful error messages. I had the same problem of not being able to start eclipse after a bad crash in windows and deleting the workspace settings did not help. Reinstalling eclipse did not help. I had to uninstall and install Java and I could run Eclipse again. 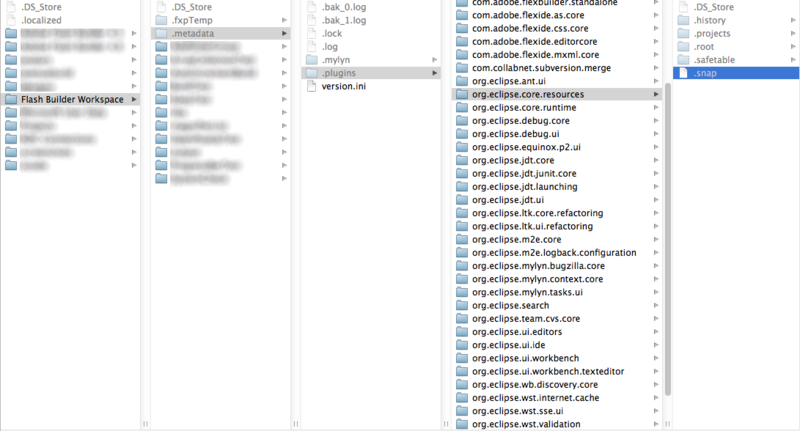 org.eclipse.core.resources from safe table, restart eclipse, you should be able to see all the configuration, but you won't be able to see your project, that you might have to import. This seems lie it will happen when you have multiple trees in your workspace. I have to re install jre and it's work!, nothing else. Make sure you have the jdk installed. If it persists try downloading a new copy of eclipse. Flash Builder or Eclipse won't start. This happens when it is shut down incorrectly (like when your laptop battery dies). Delete the workspace .snap file. First, show hidden files. You can do this by opening Terminal and setting Finder's show all files property to true. You must also restart Finder for the changes to take effect. Delete the Eclipse snap file. To do this navigate to your Eclipse workspace. In that directory you'll find the hidden .metadata directory. Navigate to ".metadata/.plugins/com.eclipse.core.resources/". In that directory you'll see a file called ".snap". Make sure Eclipse is closed (not open and not stuck on the splash screen). Next delete the ".snap" file. 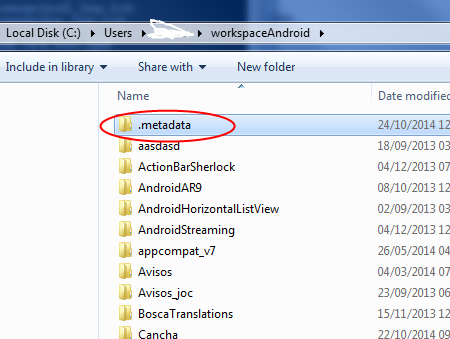 Erase the old .metadata folder from the workspace and copy the new one that was created somewhere I chosen the first time. Background: I had a similar problem and it started when I uninstalled the eclipse and installed it again, so at the first time I created a new workspace, I work without any problem, then another time I chose the old workspace, so when I tried to open it, it used the old .metadata folder. My problem was I somehow installed 32-bit Java and screwed up my environment variables so the jdk1.7.0_10 wasn't in PATH any more. Fixed it from the accepted answer here, following the poster's screenshot. Proved to be very handy when I installed the right version! How do I prevent Eclipse from hanging on startup? How do I install a JRE or JDK to run the Android Developer Tools on Windows 7?